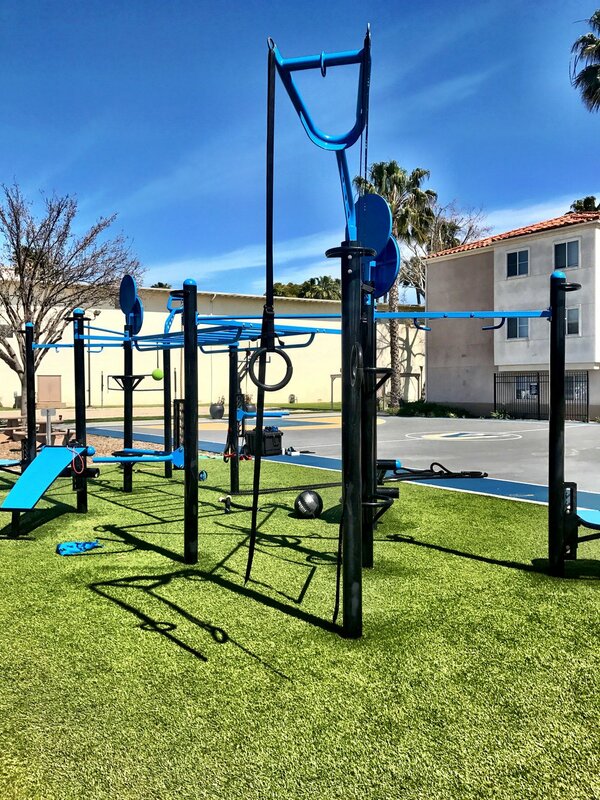 MoveStrong was honored to have the opportunity to work with Veterans, students, and staff at Vanguard University to educate on the benefits and capabilities of the MoveStrong T-REX outdoor functional training station and tools for group workouts. 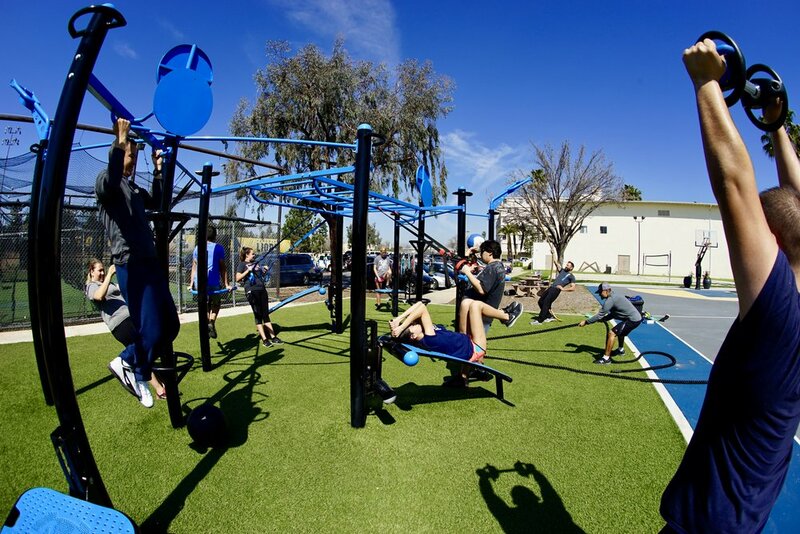 A dedicated outdoor fitness area that was created on campus was brought about largely by the efforts of Veteran Gabriel Corona to offer a physical fitness amenity that would help bring new students and particularly Veterans together. 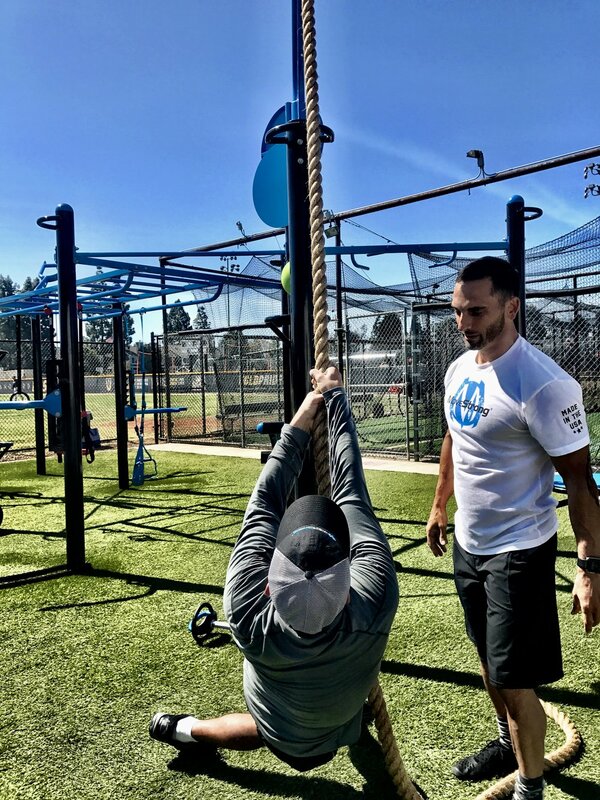 "I am a Marine Corps veteran, and after leaving the military, I decided to enter the career in strength and conditioning. I missed the physical nature of being a Marine. Fitness was part of the job, and it became a big part of my life. That is why I studied and obtained a degree in kinesiology. I became highly involved in brining fellow veterans together. 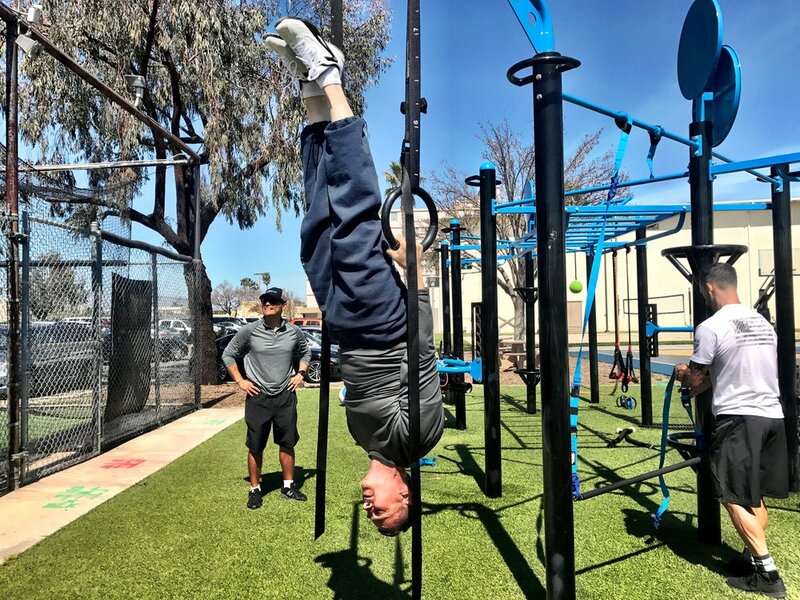 It was my vision was to create a strength and condition program for veterans. Through the use of physical training in a group setting, to help revive the camaraderie experience in the military. With my work with fellow veterans, I conducted research on the health and wellness of military veterans. My research led me to concluded that the health and wellness of the military veteran demographic needs to improve. Military veterans face unique challenges that places them at higher risk of decline in both physical and mental health. My research project was submitted, and awarded a grant. With the help of a generous donor, and money from the kinesiology department, enough money was collected to purchase the equipment." 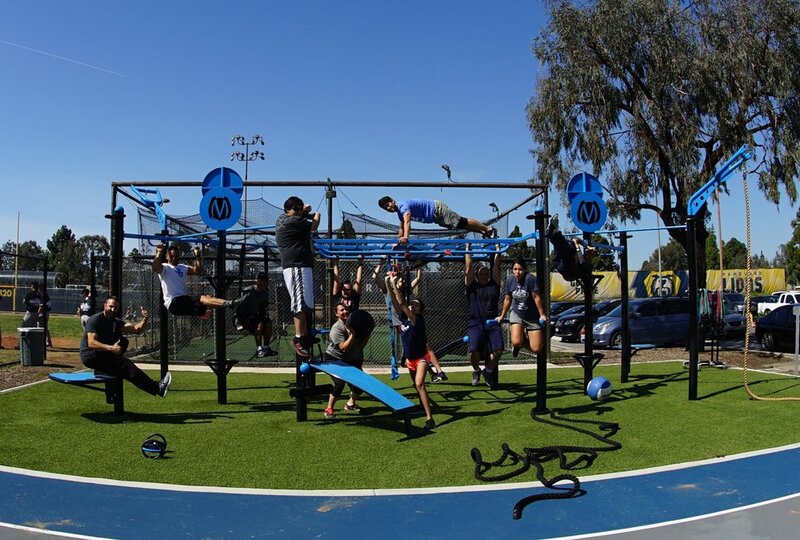 "I would like to thank the Movestrong Team for coming to Vanguard University of Southern California, for taking the time to come teach us how to maximize the use of our Double-T-Rex FTS. We plan on creating a 16-week training program to offer our students for the upcoming semester. The team provided us with insight on the various exercises that can be done, and demonstrated its versatility, that will allow us to create a program that will contain variety, and challenge for our students. But more importantly, Jared and Mike, are awesome dudes, that demonstrate the passion for what they do. It was great to know that they stand behind their product, and truly love fitness, and helping people. "